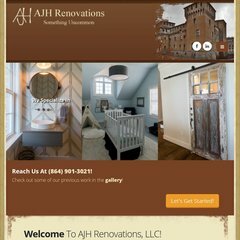 Topics: Ajh Renovations, Llc, Why Design/build, Design/build Process, and Photos. Its IP Number is 216.52.115.5. It is hosted by Webs.com Maryland, using Apache-Coyote/1 web server. ns2.webs.com, and ns1.webs.com are its DNS Nameservers.